Green claims or finally green? 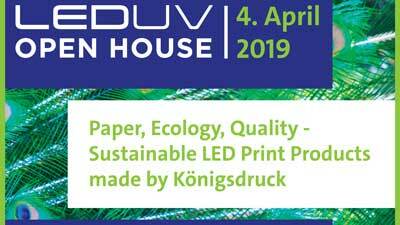 “Open House” at Königsdruck in Berlin on Thursday, 4. April 2019 with information about the deinkable LED-UV ink, that has been introduced by Siegwerk at the INGEDE Symposium. With Axel Fischer of INGEDE, Christian Schmidt of Siegwerk Inks and others. TAGA in Minneapolis: A leading conference about printing with a lively discussion bout recycling. 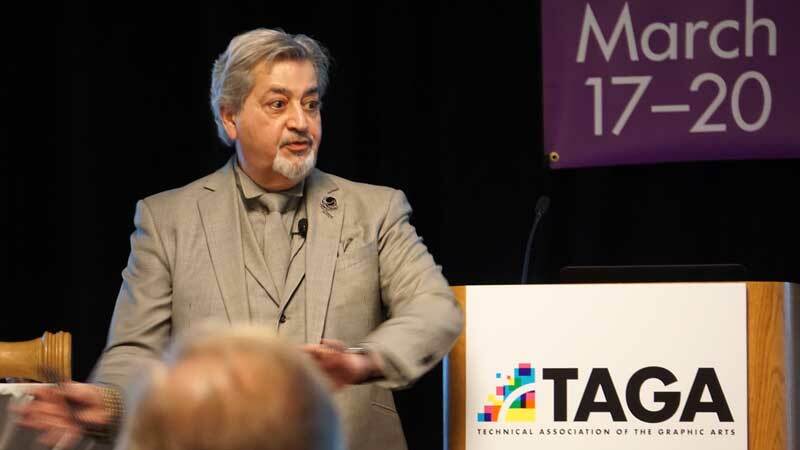 TAGA, the Technical Association of the Graphic Arts, is an association of experts from industry and science, who work in research and technological development in the field of graphical communication. 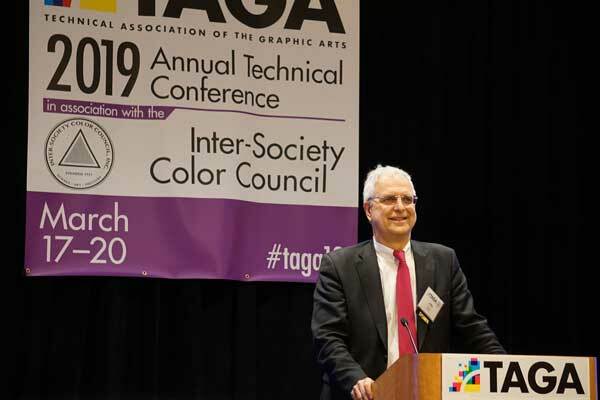 Since 2013, TAGA is part of Printing Industries of America (PIA), the lagest community in the field of “Graphic Arts”. 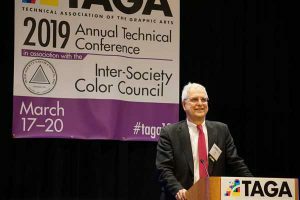 At this year’s TAGA Conference in Minneapolis Axel Fischer for INGEDE explained the process of paper recycling in Europa and the resulting challenges by different digital printing processes and UV offset prints. Daniel Dejan of SAPPI highlighted the ink-on-paper in comparison to digital communication. 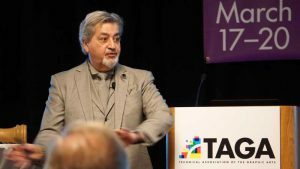 He showed how the sense of touch influences readers’ perception and retention of media, especially of brand and marketing communications. 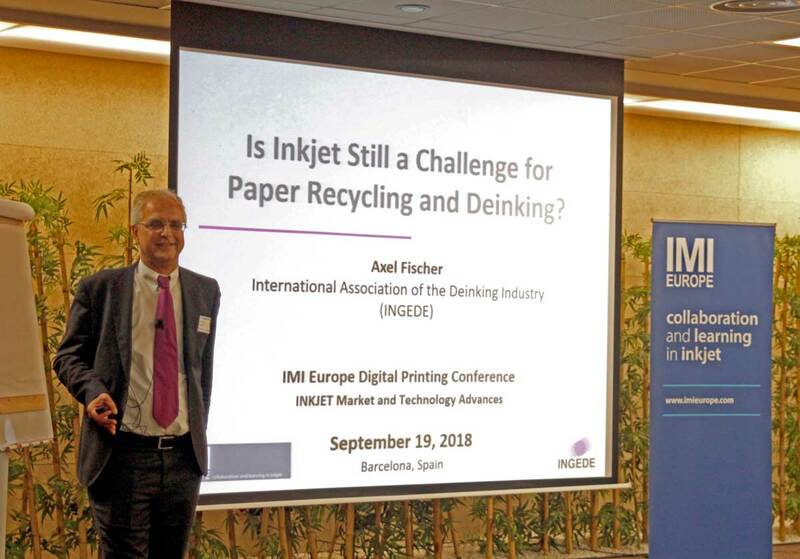 In his presentation at the IMI Conference, Axel Fischer of INGEDE asked Is Inkjet Still a Challenge for Paper Recycling and Deinking? Printers want to go green. Some think, water is green, just because it is water? It isn’t always. Water soluble inks in printing are not necessarily environmentally friendly. Cheap dye-based inks dissolve during the recycling process, staining the fibre rather than leaving the mix in a process designed to remove 1) hydrophobic 2) ink particles. Deinking has soap bubbles rise to the surface, pulling hydrophobic ink particles up and away. Here dyes and inks with hydrophilic small particles make a print behave like a red sock in a washing machine – staining all the fibres in the system, not just the one they are intended to colour. Better systems are available: The presentation gave an idea how to do it. You can download the pdf here. “Recycling of Graphic Paper Products – Challenges and Trends” (download pdf here). 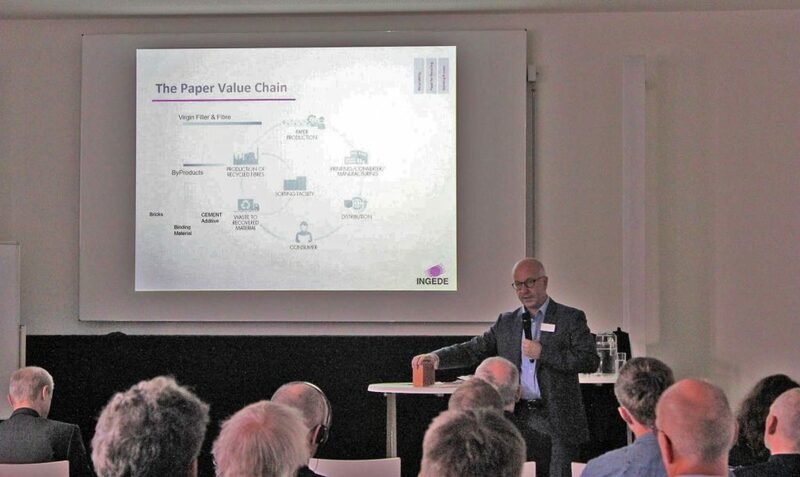 For INGEDE, Andreas Faul presented on the Recyclability of printed paper products, download the pdf here. 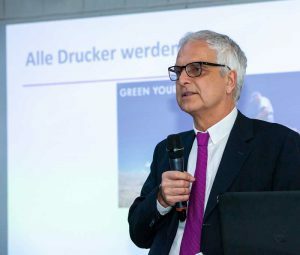 “UV Inks, Nano Inks, Indigo and Inkjet − Known and New Challenges for the Deinking Process” (download pdf here, 5,5 MB).